There is good news for Californians when it comes to our water thanks to the boost in precipitation this winter. This month, Department of Water Resources officials announced a measurement of 106.5 inches of snow at Phillips Station, the fourth-highest level ever recorded at that location this time of year. The reading signals a positive outlook for our water supply in the months ahead. In addition to the improved snowpack, multiple storms in the past several months added 580 billion gallons of water to the state’s reservoirs. “With full reservoirs and a dense snowpack, this year is practically a California water-supply dream,” Department of Water Resources Director Karla Nemeth said. Though the current water supply is a welcome relief compared to past years, state officials agree that our long-term water supply cannot rely on annual snowpack alone and that highs and lows are anticipated to be even more extreme as climate change increasingly affects our communities. We can not let our guard down in the to fight against climate change and protecting our natural resources. 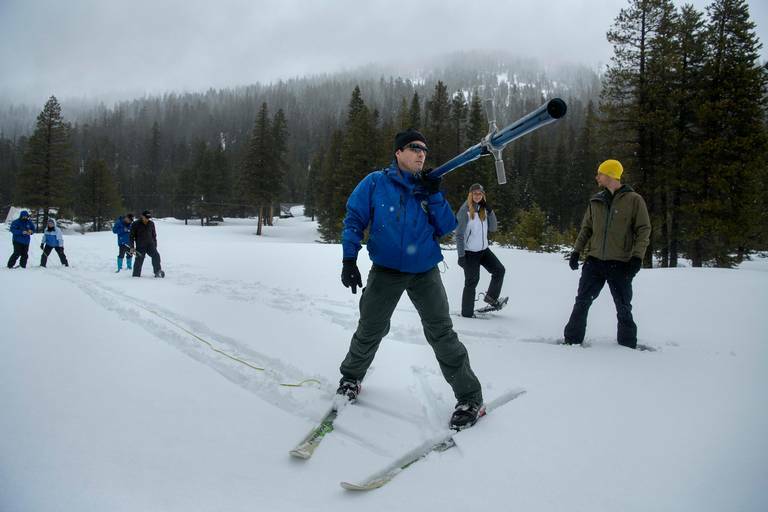 Just four years ago California saw its lowest snowpack on record at just 5 percent of the historic average. Please join New Way California by sharing this important message to your family and friends today!